A Wireless Television Listener to help you to listen to your favourite programmes without disturbing family or neighbours. Easy connect to Modern TVs – Receive crystal clear sound directly to your ears and watch your favourite TV in comfort. Product code: 920. Category: Wireless TV Listeners. 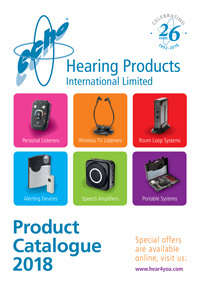 Many people struggle with hearing the television due to a hearing impairment. This causes them to turn the television louder in order to hear their programmes, causing many problems with family members and even neighbours. So the RadioLink Wireless TV listener is a perfect soultion, it can send amplified sound directly to your ears while the television can be set to a volume that suits everyone else listening. 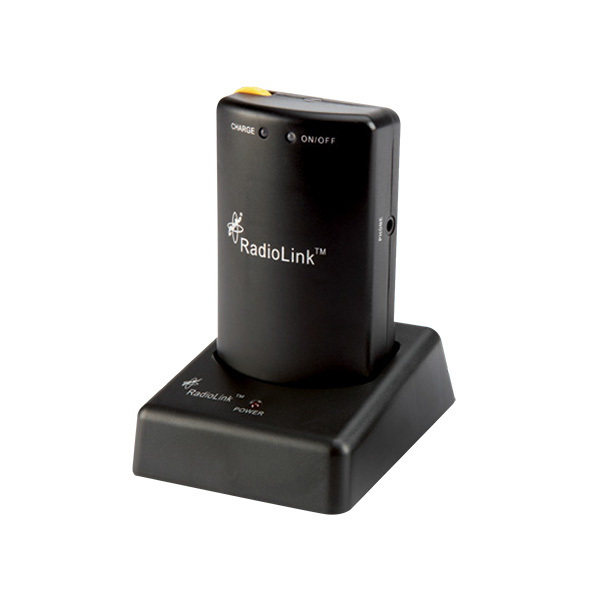 The RadioLink is in two parts; a transmitter that plugs in to the TV, radio, music player etc and processes the sound sending out a Radio signal. 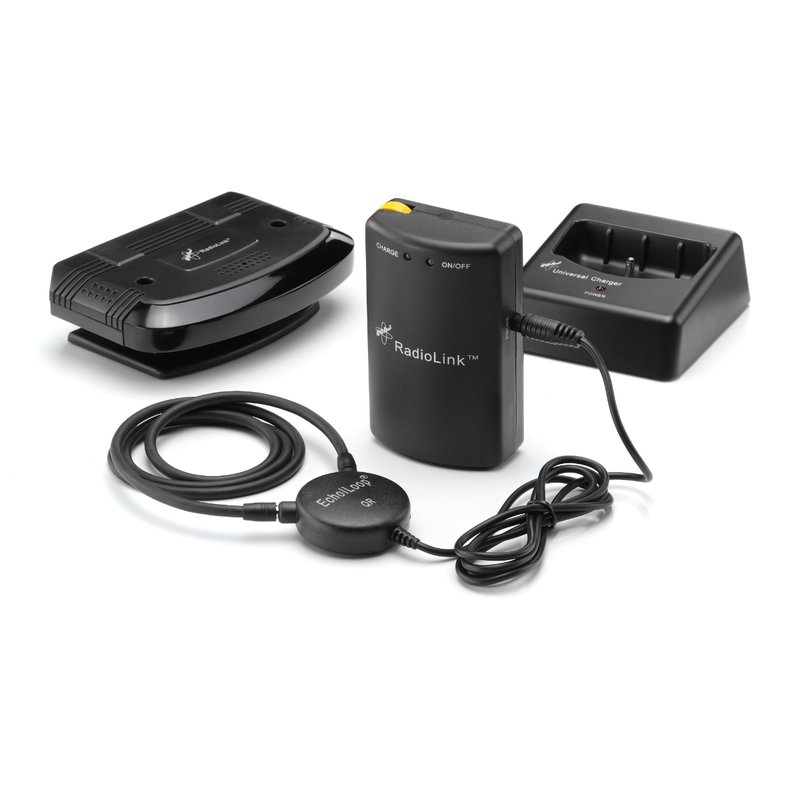 The mains powered transmitter is powerful and lightweight. and can be mounted onto the television with Velcro. 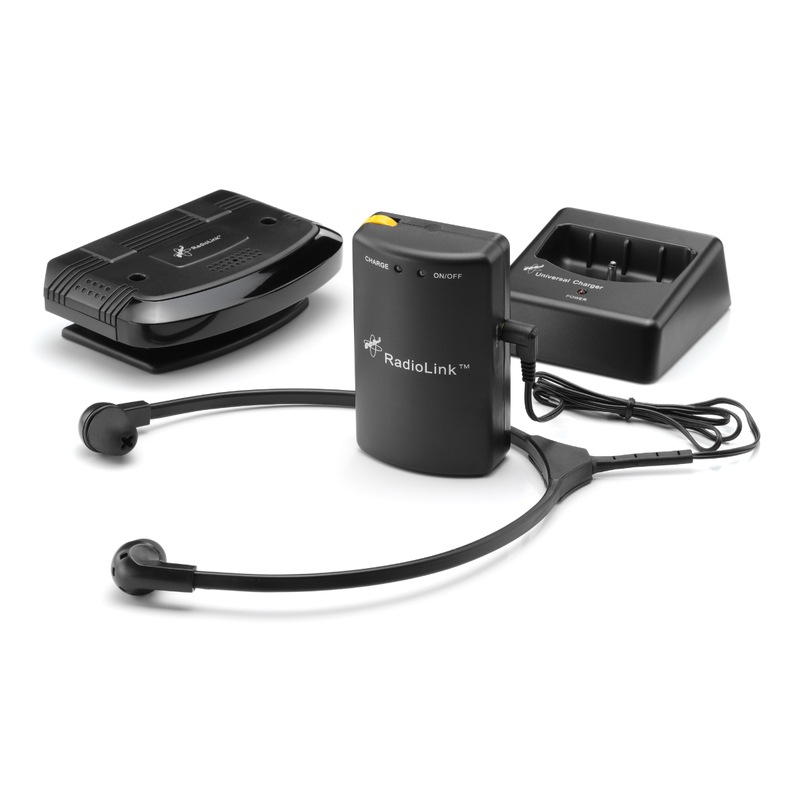 The receiver part picks up the Radio signal from the transmitter (up to 30m away) enabling you to enjoy perfect quality audio through a headset or through your hearing aid on the T setting, using a high powered quick release neckloop. The independent handheld receiver has its own volume and tone control and can be easily adjusted without interfering with any one else listening to the TV. There are no batteries to change in the receiver as it has a built in intelligent charging circuit, this produces a fast charge for the receiver, which when fully charged can provide up to 30 hours listening time (the longest of all television listeners) The Radio Link TV Listener can charge whilst in use – meaning you will never not be able to use your TV listener because the battery is down! 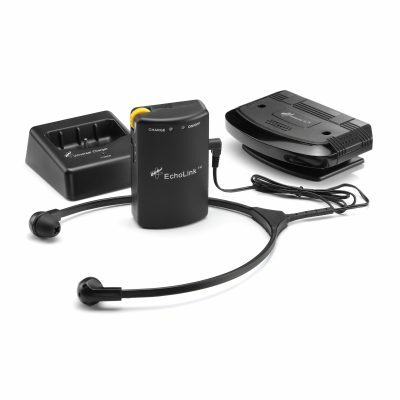 The system has a great range, up to 30m and this gives you the option of listening to the telly, radio or music when you’re outdoors, in the garden or shed. 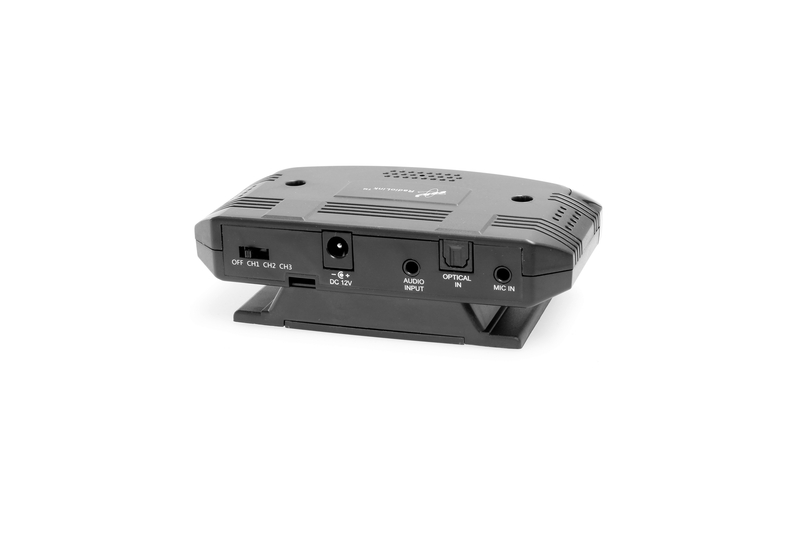 NOW WITH NEW Integrated Digital audio converter, making the system easy to connect to most modern televisions using the digital optical output socket on the TV, so it is easy to install with just one Toslink Cable, which is provided in the set. Persons with pacemakers or other medical devices should always consult their GP/ physician or cardiologist before using the device. NeckLoops should not be worn by persons with pacemakers or ICDs (implantable cardioverter defibrillator). Please contact your GP or cardiologist for further information. I have been using this system for two years now. I use it with ear hooks rather than the neck loop and have found it very satisfactory and trouble free. Can watch the TV or tune the TV to the radio and listen to the radio pretty much anywhere in the house due the transmitter’s considerable range. I have recently bough a stubby microphone and can now also use the system as a personal listener to clarify conversation. This can be done by leaving the transmitter + mike attached to the mains.